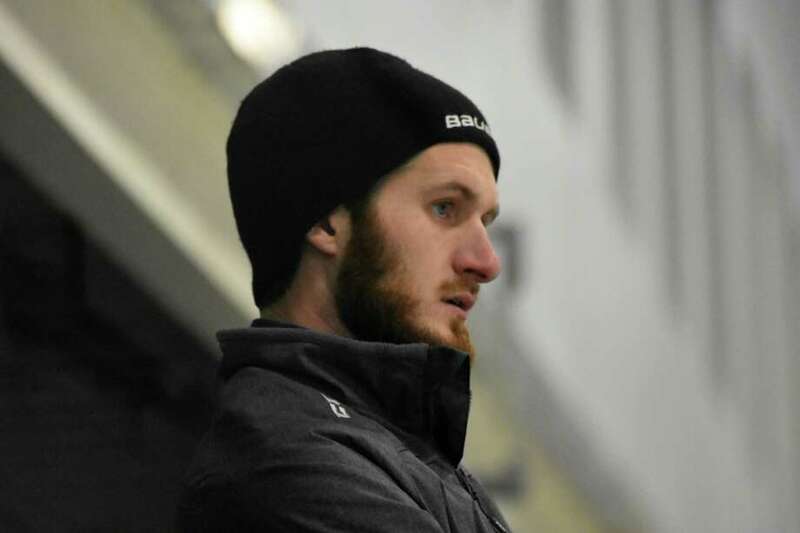 STAMFORD — The Trinity Catholic High School athletic department saw another promising young coach leave the Crusaders as boys ice hockey head coach Tucker Grose resigned following the 2018-19 season. Grose’s departure is connected to a change in his personal life which necessitates a move out of state. Grose had been a hockey assistant coach at King School (two years) and Newtown High School (three years) before earning his first high school head coaching job at Trinity Catholic. His dad, Jody, was the hockey head coach at Staples High for 11 years. Frank Fedak, who just saw his title change from interim athletic director to permanent athletic director at Trinity Catholic, is sad to see Grose leave and has began the process of searching for the next Crusaders’ boys ice hockey head coach. Playing in the FCIAC despite having small rosters (nine in 2017-18 and 14 in 2018-19), Grose kept the Crusaders engaged and maintained a positive outlook. Trinity Catholic was 1-18, 1-10 FCIAC in 2017-18 and played without a true goaltender (transfer Lance Lippmann did not become eligible until late in the season). The Crusaders and Grose fared better this past season with goalie Jeff Reda in the net throughout. Trinity Catholic finished 5-15 overall, 2-9 in the FCIAC and qualified for the Division III state tournament.